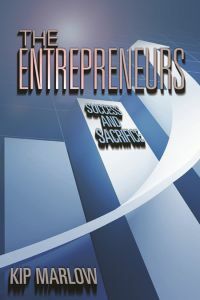 Kip Marlow’s book has inspiring profiles of entrepreneurs who grew businesses and became successful — in some cases VERY successful. These entrepreneurs are not the super-rich or super famous. 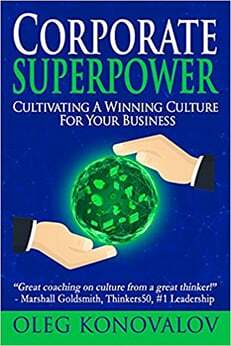 You won’t find Bill Gates or Larry Page or Mark Zuckerberg in this book. What you will find are 22 real-life stories of success, from business owners who could have been you or me. And that’s why this book is so inspiring – because we can relate to them. The profiles are about entrepreneurs who overcame the odds — from being high school dropouts, to getting laid off, to being fifty-something with few good prospects. One started his business in his parents’ kitchen. 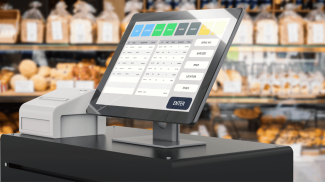 Another overcame hard times — so hard that the bankruptcy papers were on his desk waiting to be signed, when he suddenly got a large customer order that saved the business. Kip Marlow is a successful entrepreneur himself, who founded the Entrepreneurs Club Radio. The profiles are culled from his radio interviews. You can’t help but but be inspired by this book. This is the kind of book that you can pick up, spend 30 minutes on it, put it down, and come back a few days later and do it again. 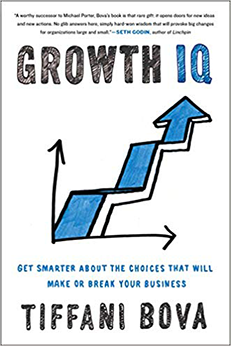 You’ll want to keep picking up this book again and again, because it’s packed with useful information for small businesses. Everything is put in front of you in a way to get to take action. The information is broken up into a lot of sections (77, just like the title says), and presented in lists of tips and techniques so that you can consume it easily. Along with marketing strategy and planning, there are tips about positioning, messaging, social media, referrals, lead generation, and quite a bit of sales-related marketing advice. 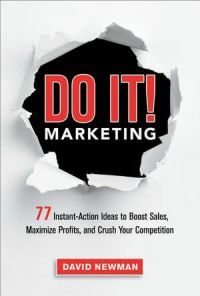 Written by David Newman and published by Amacom, it also has a number of contributors. At the end is a 21-day launch plan, broken down into what you can do each day. This is a compact book of 120 pages, written by Abhijit Bhaduri and published by Hogan Press. Bhaduri is a seasoned HR professional with experience at companies like Microsoft and PepsiCo. The book is contrarian in a number of ways. 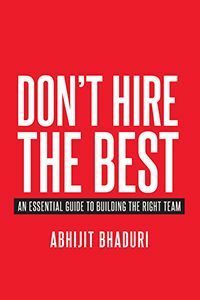 Bhaduri says don’t hire the “best” person. Hire the “right” person for the job. Most companies focus on what’s on a resume. However, great academic credentials and performance in one’s current job are poor predictors of success in a job, he says. Bhaduri believes that personality factors matter, a lot. Cultural fit matters. Much of the book presents case examples of personality profiles and the analysis of how they might fit in certain types of roles, or might not be sited. This is not a step-by-step hiring guide, but rather a thoughtful book for those who would like a fresh approach to assessing job candidates.